Your support allows for a wide range of Jewish school choices and a complete education for all. 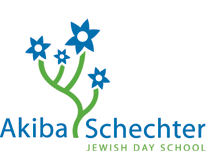 The Kehillah Fund, partnering with your generosity and commitment, supports eleven private Jewish day school programs in the Chicago-land area. These schools offer their students, two or three tiered curricula including a rich Torah education, general studies program and Hebrew Language instruction. Currently over 3000 community children attend these widely diverse schools that provide a range of unique programs and services.